FAIKA! 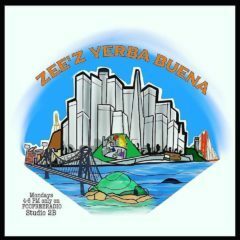 S2:E5 – Tino Elisara and “BROWN GIRL WOKE” Doris Tulifau – Radio for the People, by the People. TINO ELISARA! Live In-Studio TOMORROW on the Faika podcast. Join us and we will introduce you to Tino and his path through college and into the medical supply industry. Tino will talk about his journey with higher education, working his way through the corporate ladder and tell us all about his beautiful family that includes his lovely wife Devon and their four children. LAST MINUTE ADDITION!!! The Faika Podcast will have “Brown Girl Woke” founder Doris Tulifau in studio! See what is on deck for the international Pacific Islander activist and what positive focuses the BGW movement is going to be taking action on in the near future. It’s going to be a great show. Faika broadcasts on Sunday from 10:00 am to 12:00 Noon on FCCFREERADIO.COM in the ICONIC Studio 2b. Download the “TuneIn” app and search “fccfreeradio” to listen live or download us on FCCFREERADIO.COM after the show has aired. We will post a link to the show after it is available on Sunday as well.